It's that time of year, as Connecticut students head back to school. 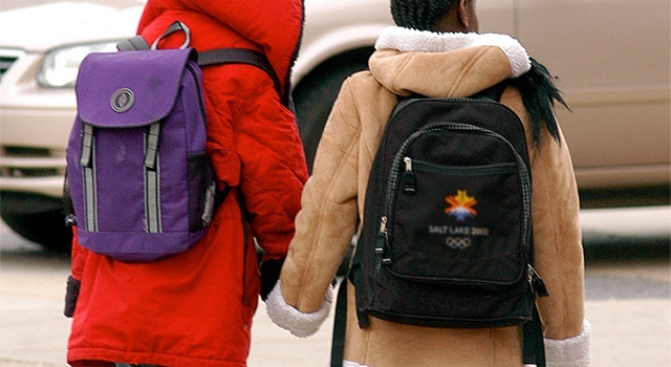 A poorly-fitted backpack can cause your child pain. From kindergarten through college, most students will at some point need a backpack and making the wrong choice can be painful. Susan Dunn, a physical therapist at Middlesex Hospital, has treated people with injuries caused by poorly fitting or overloaded backpacks and said a backpack should weigh no more than 15 percent of a person’s weight, otherwise they will struggle. “They’re overarching their back to try to hold it up, or they’re leaning forward to see if they can make that backpack a little less heavy or use other muscles,” Dunn said. Parents should include the weight of a lunch bag and band instrument into that total, she said. Dunn also said a backpack should not hang too low in back. “You don’t want it hanging down over your bottom. You want it just at the small of your back so it supports you there,” she said. Dunn also advises using the waist straps of a backpack, which connect over the stomach, and tighten the straps in back. Ten-year-old Sam Stergos had a backpack that left his back hurting, so his mother looked closely at the backpack features when she took him shopping for a new one recently. “It has a lot of padding on the back and shoulder straps,” Heidi Stergos said. While students often have no way around carrying many textbooks home every night, Dunn suggests using a classroom copy of the book at school and buying a used version to keep at home.